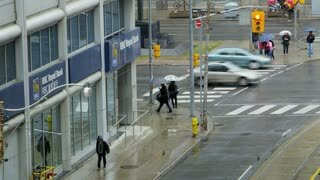 Search Results for "royal bank of scotland"
Editorial Royal Bank Canada logo on glass building. David Hume's Statue Edinburgh, Scotland in front of St Giles' Cathedral. They are located in West Parliament Square, on the Royal Mile. Edinburgh, Scotland, UK. Blue and cloudy sky after sunset. Edinburgh Scotland The Royal Mile Tourism 4K 1465. Street old Edinburgh Scotland point of view. Driving along old historic buildings and schools. Vacation and business destination. 15th century architecture. Edinburgh Scotland Tourist Royal Mile Old Town Business 4K 1535. Street old Edinburgh Scotland point of view. Driving along old historic buildings and schools. Vacation and business destination. 15th century architecture. Edinburgh Scotland Urban Royal Mile Business Urban 4K 1469. Old Edinburgh Scotland urban city. Historic buildings, schools, business and residence. Vacation and business destination. United Kingdom. 15th century architecture. Dumfries Scotland River Nith Bridge city center 4K 022. Market town and former royal burgh of Scotland. Founded during Roman occupation of North Great Britain. Greyfriars Church is the prominent town center. Dumfries Scotland River arch Bridge over water 4K 031. Market town and former royal burgh of Scotland. Founded during Roman occupation of North Great Britain. Greyfriars Church is the prominent town center. Dumfries Scotland city center River Nith waterfalls 4K 026. Market town and former royal burgh of Scotland. Founded during Roman occupation of North Great Britain. Greyfriars Church is the prominent town center. Edinburgh Scotland Royal Mile Historical Tourists Fast 4K 1460. Old Edinburgh Scotland urban city. Historic buildings, schools, business and residence. Vacation and business destination. United Kingdom. 15th century architecture. Edinburgh Scotland Royal Mile St Giles Cathedral 4K 1482. Old Edinburgh Scotland urban city. Historic buildings, schools, business and residence. Vacation and business destination. United Kingdom. 15th century architecture. Dumfries Scotland city center River Nith waterfall traffic 4K 028. Market town royal burgh of Scotland. Founded during Roman occupation of North Great Britain. Greyfriars Church is prominent town center. North of English Scottish border. 1950s: EUROPE: SCOTLAND: Queensferry, Scotland. Queensferry Passage board. Coat of Arms above building. The national Bank of Scotland sign. The Royal Regiment of Scotland parachutes from military helicopters in Afghanistan. The Royal Regiment of Scotland boards military helicopters in Afghanistan.